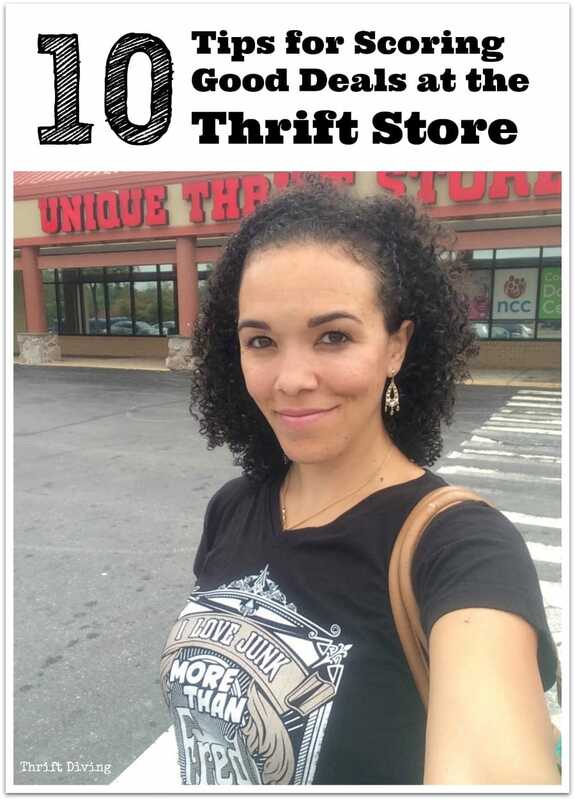 Unique Thrift stores are a huge opportunity to outfit your home and life without committing what I refer to as “financial suicide.” There’s a huge Unique Thrift near me here in the DC metropolitan area of Maryland, with an adjoining Value Village housed under one warehouse-sized roof. I kid you not when I say that 95% of my home furnishings have come from Unique Thrift and Value Village: my dining room table, my china cabinet, my son’s desk, and more. Let’s just say I know how to find me a good deal. And Unique and Value Village make it super easy because their inventory is the best! If you’re just getting started (or just interested in adding a few more tips to your thrift store repertoire), I’ve got you covered. Keep reading, my friend! How do you get the best deals at the thrift store? How do you know what to look for? Let’s chat about that, shall we? Click here to SAVE these tips on Pinterest. 1. Never take “SOLD” as an answer. Just because it has a “SOLD” sticker on it doesn’t mean it’s always “SOLD.” Customers change their mind often. I can’t tell you how many times I would get a sales ticket for something and then change my mind and just leave. If you find the most perfect thing, don’t be afraid to ask if it’s really sold (just don’t border on being stalker-ish and annoying). Twice it’s happened to me that something was marked SOLD but I ended up getting it. 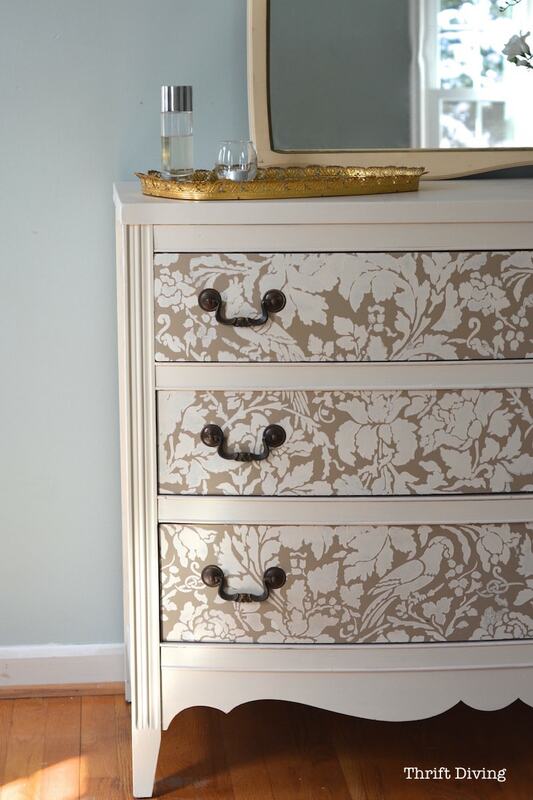 One item was a $30 foyer table, and the other was this $60 thrifted dresser that’s in my bedroom! I drooled over it the moment I laid eyes on it. There was a huge “SOLD” sticker on top. No one could tell whether the customer had paid or not. Long story short, they wouldn’t sell it to me. I came back at noon the next day to see if the customer had come to collect the dresser, and—[insert musical harp here]—there it was! No “SOLD” sticker! 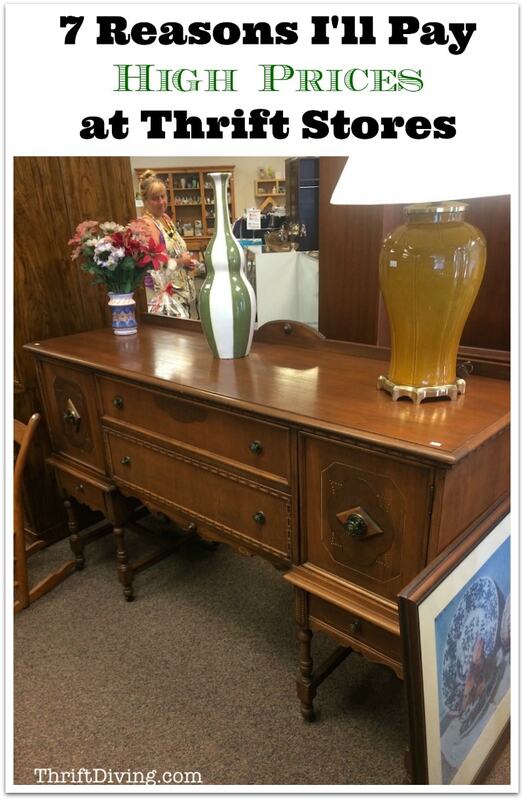 I bought that dresser so quickly, then wiped the drool from my lips. 2. Always ask for a discount. Always. This doesn’t always work. My thrift store is pretty solid with their prices, but hey–you never know. When I bought my awesome vintage drafting table for only $30, they were doing some “flash” 50% off sale that only lasted for 30 minutes. Just my luck I should miss it by 15 minutes. 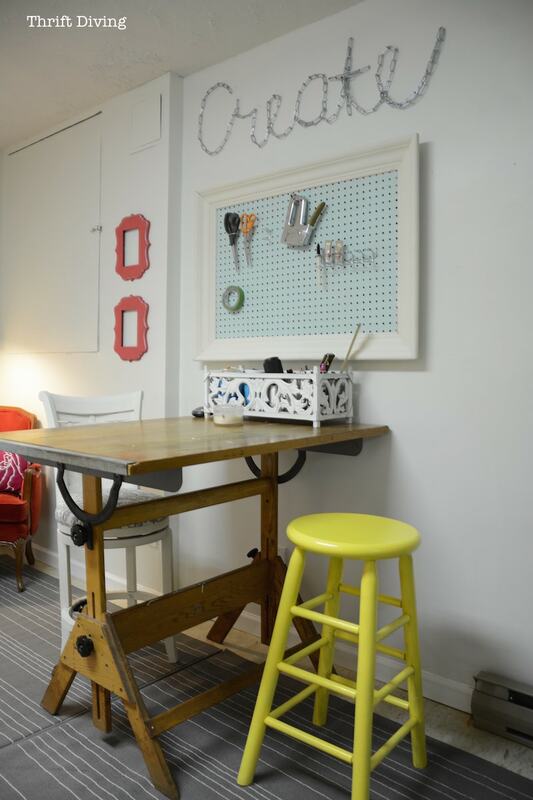 But I simply asked them to include the drafting table in the 50% deal, and–score!–they did! (And can I just add that I later found that the drafting table had sold for over $300 on eBay?? Just sayin’). I love having this drafting table in my pretty basement office! 3. Tag along with your “frugal” friends. You know the saying: “Birds of a feather flock together,” which means, in DIY-speak, “You ain’t the only cheap person in your circle!” I bet your friends know of some pretty awesome thrift stores. And you haven’t even asked them. I’m quilty of this!! You may even organize a thrift-diving day-trip with your friends and just spend the day hitting up all your favorite thrift shops. In the age of social media, nearly every business has a mailing list, a Facebook page, and a Twitter account. Yes, even thrift stores. At my favorite thrift store, email notifications are how I find out when they’re featuring a “50% off at the thrift store” special sale. 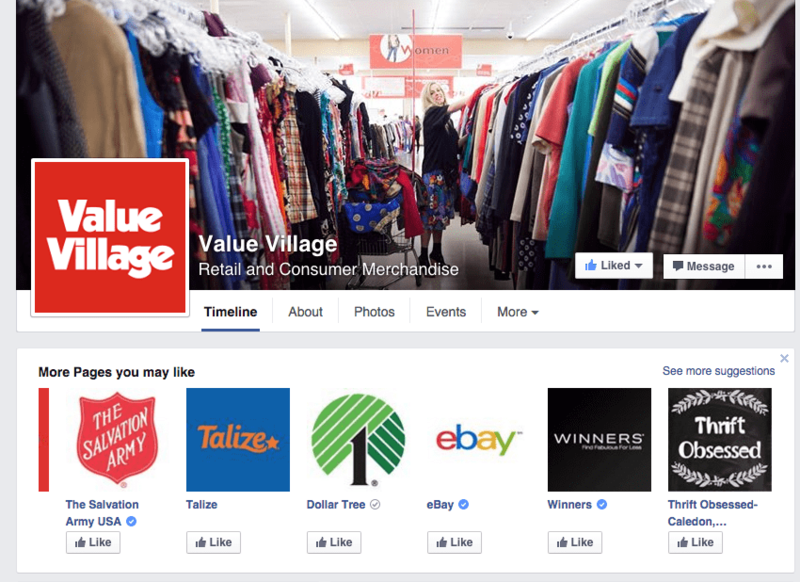 Find out if your local thrift store has a “Value Card” or customer appreciation card. For the longest time I didn’t realize that my Unique Thrift and Value Village had customer appreciation cards. Usually there are special days where customers with the card save extra. I have scored some major stuff for next to nothing because of this deal. And don’t forget to see if they’ve got some special stamped cards! Unique and Value Village give out punched cards with percentages off based on the number of bags you donate at curbside. Each time I make a donation, I walk away with a 30% off coupon punch card! Mondays: 20% off the items they’ve selected, not the entire store. Each week the sales items change. Sundays: Typically no discount, but if it’s the Sunday before a major holiday, they’ll usually do 50% off the entire store. I later sanded it and restained it and it was the best $12 ever spent! 8. Look it up….with caution! When you’re thrift diving, use your cell phone to look up name brands of items you like, to see if what you’ve found is a great deal. But here’s the catch: don’t just buy it because what you found is valuable and you’re finding it at a cheap price! I’ve suckered myself into doing that too many times to count. 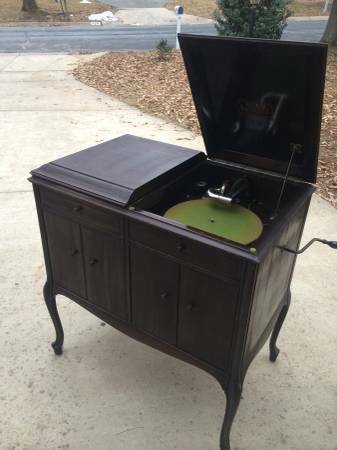 I once made the mistake of doing that with this Vintage Victrola that I bought from the thrift store for (gasp!) $150 (which was the most expensive thing I have ever bought from there). I bought it just because it was, like, $400 on eBay. And my mind said, “You can sell it for a profit!” Um, no. It sat in my garage, taking up space, collecting dust for years. I actually just ended up redonating it during a Salvation Army pickup. Sigh…. I ended up paying $100 for it at the thrift store (!!!! 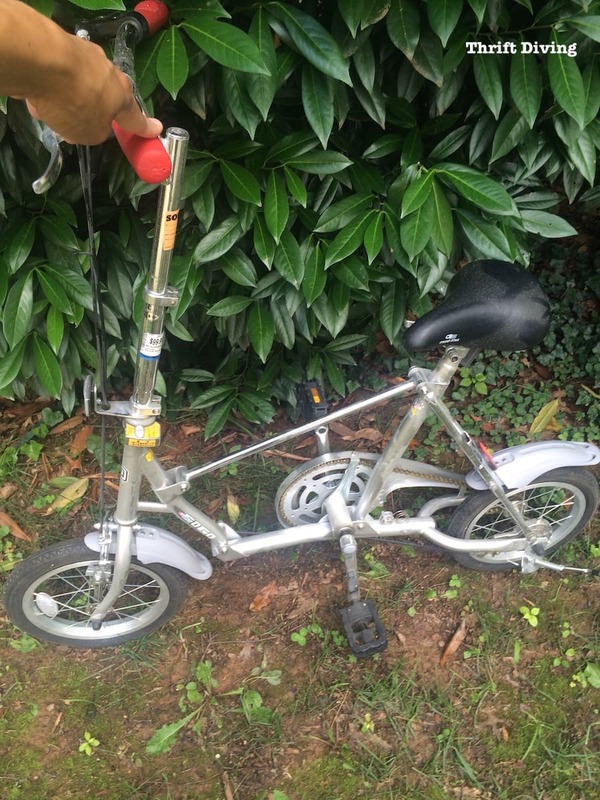 ), only to get it home to find that the handlebars were locked and couldn’t turn. 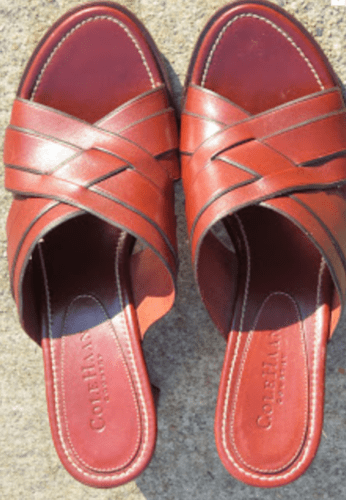 I also had found these awesome thrifted Cole Haan shoes, even though I had no idea who Cole Haan was. But they looked expensive, and my cell phone searched proved they were worth to buy, despite the fact that I don’t wear a size 8. HA! They were only $7.94! And super cute. Or so I thought. My friends told me they looked like old-lady sandals and I couldn’t even give them away! Lesson learned is that it doesn’t matter if something is expensive. If nobody wants it, it’s not valuable. 9. Shop for solidly constructed wood furniture. 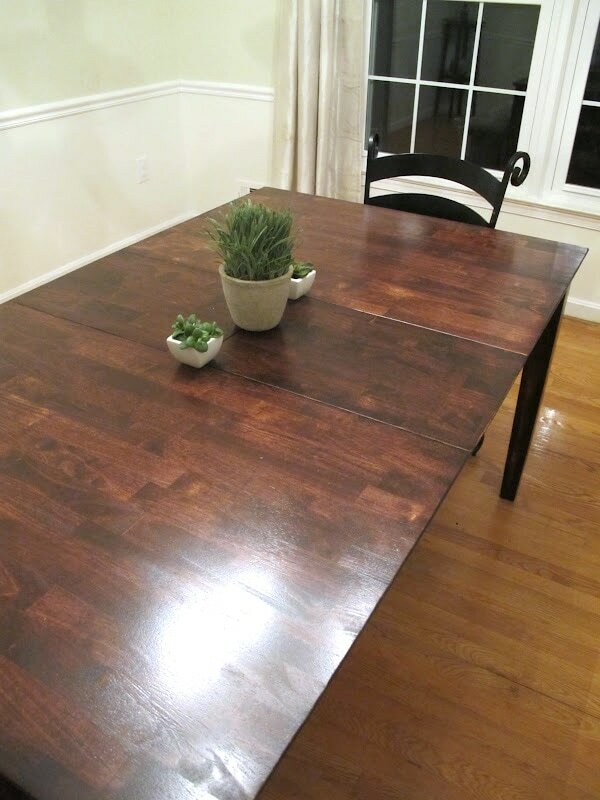 If you’re buying furniture at the thrift store, buy items that are real wood and not particleboard. Or items that have amazing grain and are heavy, solid pieces of furniture that will last for years to come. I love how solid furniture feels! And getting it for such a great price–it’s enough to make you literally squeal. 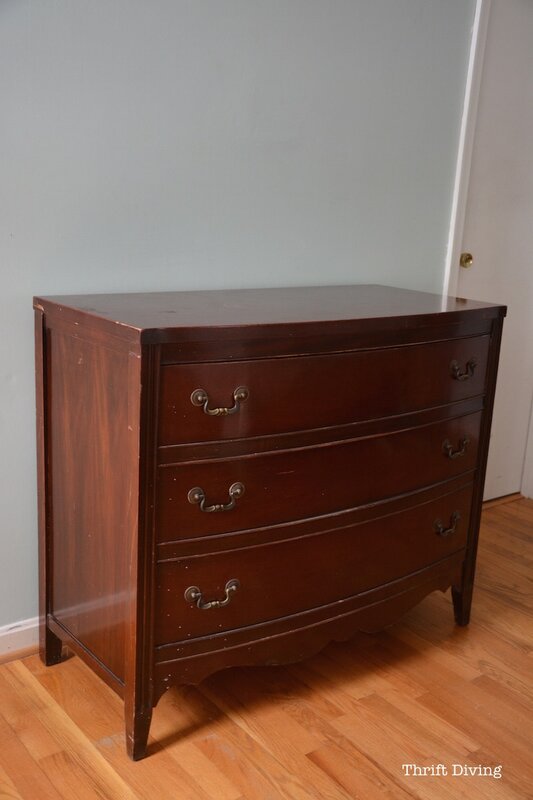 I had picked up this mid-century modern dresser for about $25 at Unique Thrift because it was heavy. I didn’t imagine that all that amazing wood grain was underneath there until I stripped it away. What a great find! 10. Beware the hoarding bug! 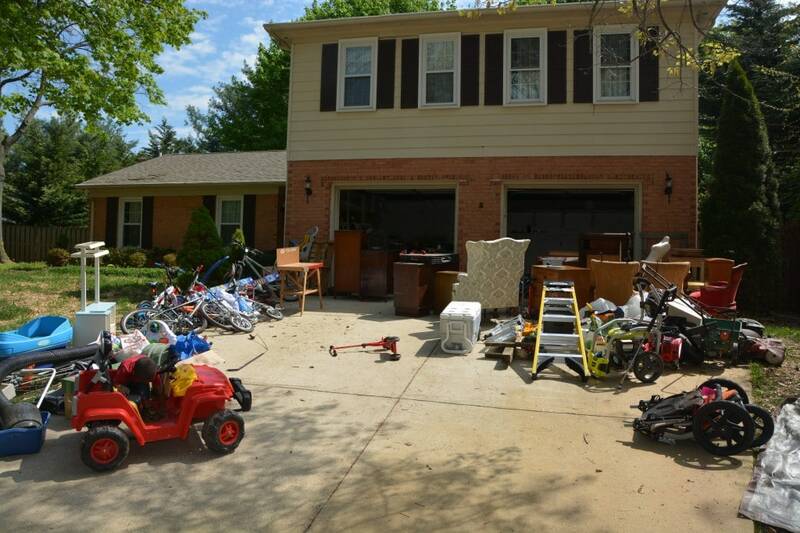 I’ve always been a proponent of hoarding. :). 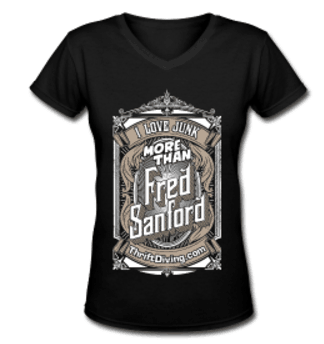 My motto was, “If you love it, buy it!” Even if you didn’t have an immediate need for it. Because if you find something you love, I guarantee you that someone else will come along that loves it as just as much as you do. The next day it will be gone. No one should live such a cluttered life! It starts to weigh on you and causes anxiety whenever you think about the mess! Stick with buying only the things you absolutely love and literally can’t walk away from. And make sure you’ve got a purpose for it immediately. If you buy something you plan to use in…..ohhh…..4 months, I guarantee you won’t use it for 4 years. If you aren’t using it immediately or aren’t planning to paint or refinish it in the next 7 days, keep it movin’, sister! 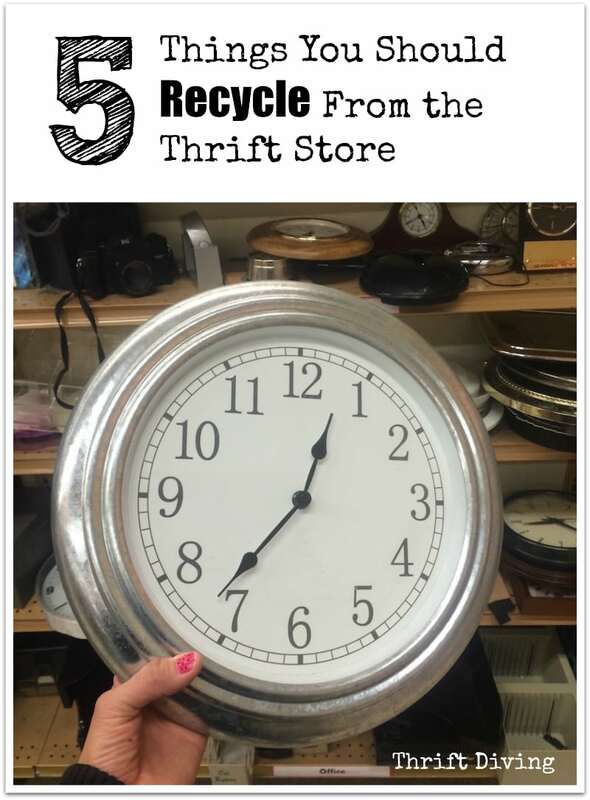 What Are YOUR Favorite Thrift Tips? Have you picked up any favorite tips along the way? Leave a comment below and share! Click here to SAVE this post on Pinterest. Hello, I have to say that after watching one of you YouTube video’s I started to be really interested in revamping used items as projects. I find my self constantly going to Goodwill and researching things on YouTube or Pinterest. You were my original inspiration.. Thanks so much for showing us tips and easy and simple ways of accomplishing them. Since then I have started with small crafts to test my abilities with spray paint and acrylic paint on picture frames, wood trays, ceramic pots, simple things… now I stepped up the game after finding a a pretty side table at my local Goodwill, (by the way your thrift stores are much better then the Goodwill around my house.. such nice findings over there) that I want to strip and repaint. ..Let’s see how it will come out. On the Goodwill topic, you know the way they mark their prices with some type of pen its really hard to come out depending on the material. Do you have any suggestions of how to erase then? I have tried detergent, Mr clean magic eraser and is not helping. Hey, Sabrina!! Awww…glad that I was the source of your inspiration! That makes me so happy to hear! I know what you mean about those marking pens! My Value Village used to do that with pens, and now they use price tag stickers. But the markers WERE hard to get out. I don’t recall what I’ve tried, but have you ever tried Goo Gone? It works really well with stickers and stuff, and I’m curious about whether it would work on those types of pens. What about rubbing alcohol? Even five dollars can yield bountiful results! I have been known to buy a cute but ugly ceramic nickknack, take it home and spray paint it, and enjoy it for many years! That is a great list, Serena. You are a pro! I created a Halloween costume one year using a number of thrift store finds. I even made a Halloween costume for my husband (manly cape) from a women’s chiffon pantsuit. It’s great fun. Alys, those sound like fun projects! Oh, and the discrpency–yes! I’ve had identical items sitting next to each other and they’re different prices and when I would ask to get the lower price, they’ve said no. LOL Makes no sense. I just bought some pretty fabric at the thrift store for a few dollars! I haven’t decided what I’m going to do with it yet (pillows maybe??). But it’s got to be at least 3 years, maybe more. I think I paid $6 total! For years I have had a $5 thrift store limit! Yep, you read that right. five bucks! That’s been my limit for stuff that I am buying to turn a profit. I have recently upped that to $10, and sometimes a few dollars more. My personal limit is 20-25 if I’m buying furniture for myself. Because my friends know what I do, I get most of my stuff for FREE, and I say yes to everything because I never know what it is till I get it. Typically if I decide it’s not for me, I just put it to the curb so it can be re-homed. Recently I’ve been too lax, and have been keeping too much stuff. You are right, it can be very stressful. I’m cutting myself some slack until the weather warms. After that, if it doesn’t get a makeover by summer, it’s gotta go. good luck with your new workspace! Hey, Gail! I remember you saying that before about your $5.00 max and I was thinking, “What? !” I’d love to know what the most expensive thing was that you ever bought from a thrift store! 🙂 And do you sell a lot of those $5.00 things? That makes sense when you’re trying to turn a profit. I sell all of my $5 (and FREE) stuff, that really adds to my profit. And… I can sell them so much cheaper. In your area, your minimum might need to be more. Last fall I sold a hall tree at my craft show for $150. I paid $2 for the door, $5 for the mirror, and used random saved bits and pieces to make it. It was a little work, but I figure the money I make on the pageviews for the tutorial offset my work, so that was a nice profit. The most I’ve ever paid? I paid $25 for my kitchen table that I kept. Other than that, the MOST was just 2 weeks ago. Cousin Terry talked me into buying a hutch at $30. I’m really hoping for a quickie makeover, with minimal time and cost so that I can turn it for $125. OMG, $150?!?! Sweet! It’s good that we have blogs because it’s it’s great content AND it sells! We’ll have to talk more offline about selling. I haven’t been successful at it. If I could sell some of the stuff I do, that would be awesome! Undecided about a potential purchase (or out of funds) while Thrift Diving, but afraid to miss out on something good? Just find a hiding place underneath some other items, or in a discreet corner of the store. Many times, it will still be there when you return the next day, and often at the same price. This shopping strategy is particularly useful in that many Thrift Stores don’t provide refunds on merchandise purchased. Hey, Jennifer! Great point about hiding! 🙂 This would be a good BuzzFeed video, wouldn’t it? How to Shop Thrift Stores and then showing how to hide things. LOL!